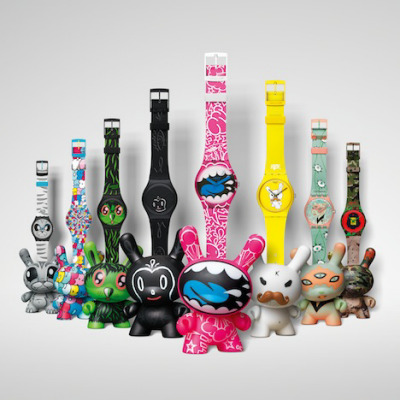 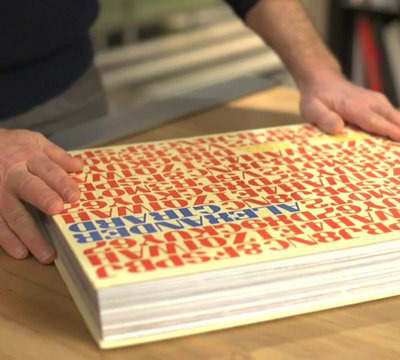 Bay Area designers Evan Murphy & Michael Wood—a.k.a. 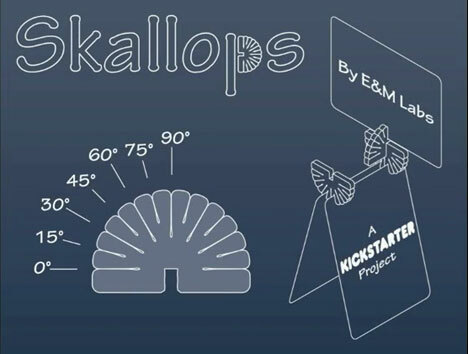 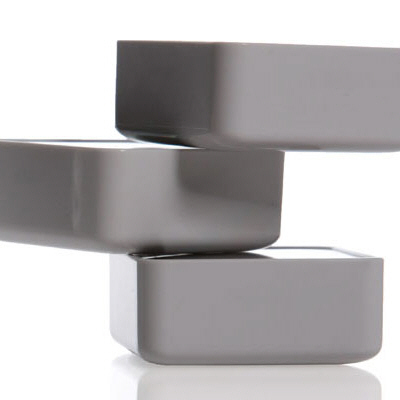 E&M Labs—have recruited their friend Marshall Grinstead for "Skallops," their latest Kickstarted toy. 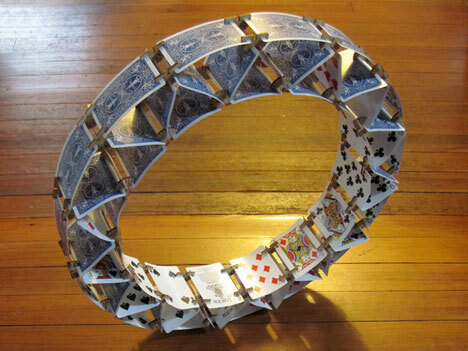 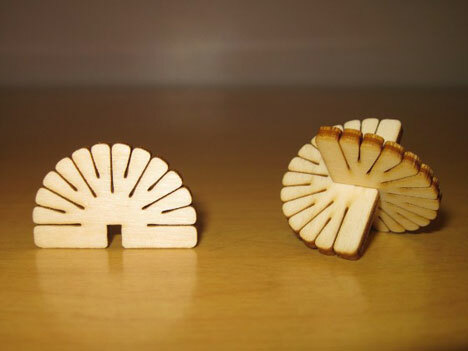 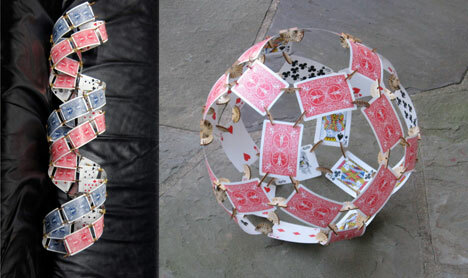 Drawing on the traditional "house of cards," their new toy extrapolates on the use of a standard playing card as a structural member for an infinitely expandable building toy, where Skallops are laser-cut connectors for the cards. 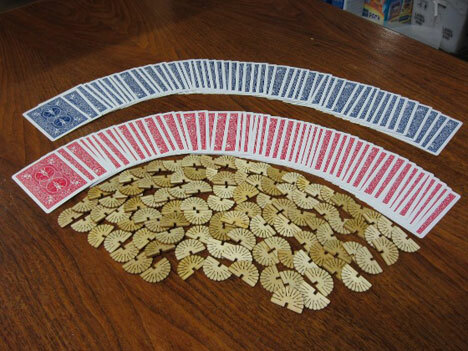 It's also a clever way to upcycle those old packs of cards that are just a few cards short of a full deck... we'd wish you luck but looks like you're already all set, so keep up the good work!